I really enjoy the writing of Denise Hunter, so I was happy to have the chance to read and review another book from her. 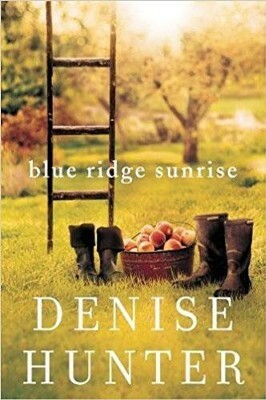 Blue Ridge Sunrise tells the story of a young woman who inherits an orchard from her grandmother. This book is a love story and so much more. This is a story of family and fighting for a better future. Anyone who is looking for a love story with a little more to it will enjoy this book. The characters in this book are likable and fun to read about. The story was interesting and different from a lot out there. The chapters are short and easy to get through. There aren't any boring parts in this book. The only thing negative that I have to say is that if you are looking for something that really has a message to it, you will not get that in this book. Overall, I thought that this was an interesting and enjoyable book. I give Blue Ridge Sunrise 5 out of 5 stars.